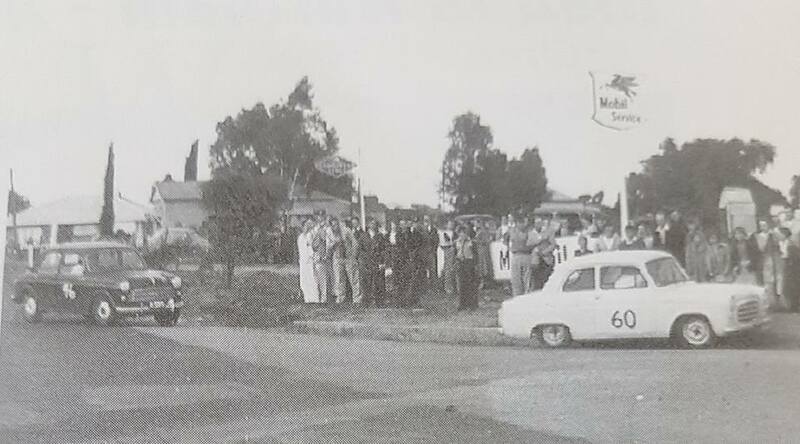 This circuit was very close to the centre of town and was 2.2 miles in length and ran in an anti-clockwise direction, The start finish line was on Chidlow Street at the entrance to the Jubilee Showgrounds, The Showgrounds were also utilized as the competitors pit area. Most of the circuit remains unchanged apart from some of the road junctions made more flowing and less defined, one roundabout has been added at the junction of Burgoyne and Chidlow street, the area is now fully developed with a mixture of many period and new homes and commercial buildings. 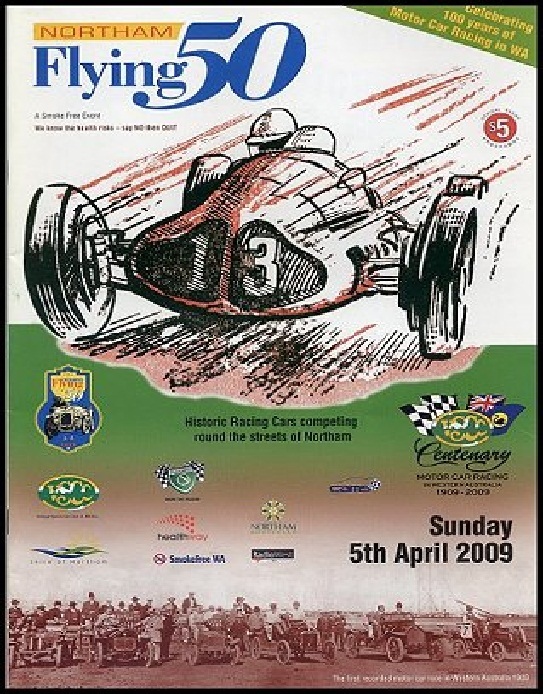 After the initial meeting in 1952 the racing circuit was moved to what was known as the North circuit, this was a less populated area and proved less of a problem for orginiser's, the direction of racing was in a clockwise direction. 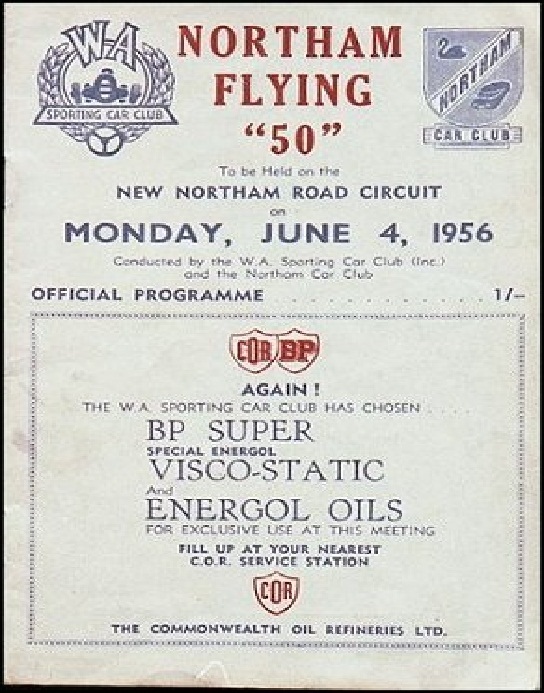 Racing was once again held in Northam in 1954 and once again held at the North circuit. 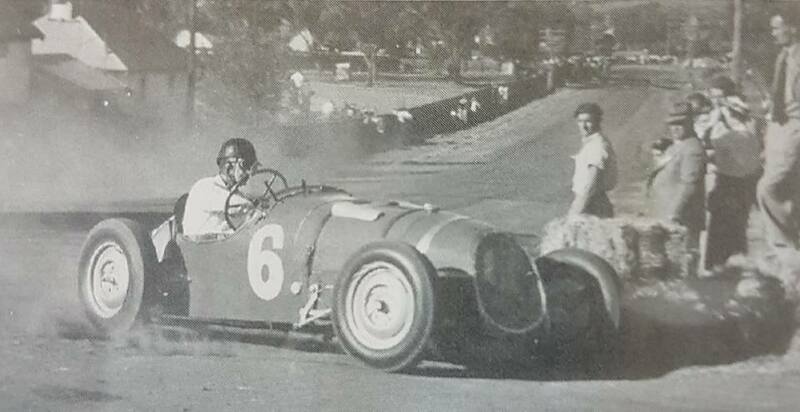 1954 - John Trowell in the Vangaurd around the Northam street circuit. Photo: Ken Devine. 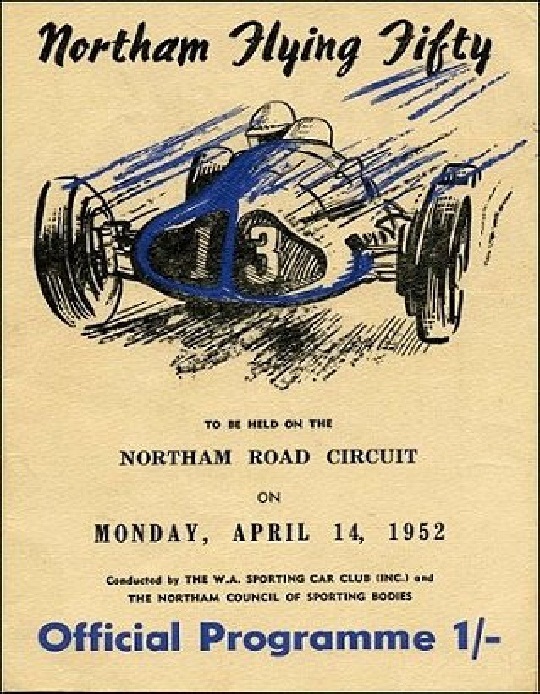 Racing was once again held in Northam in 1955 and once again held at the North circuit. 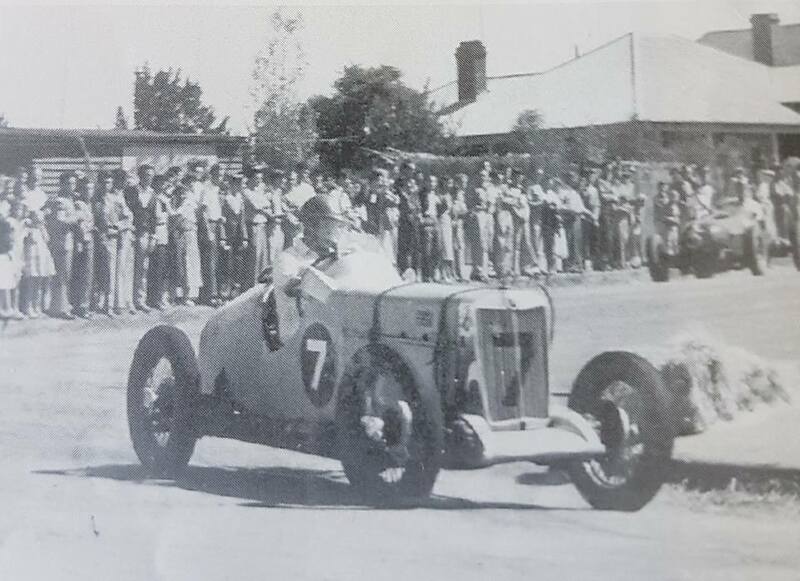 1955 - Don Hall in his special on the streets of Northam. Photo: Ken Devine. 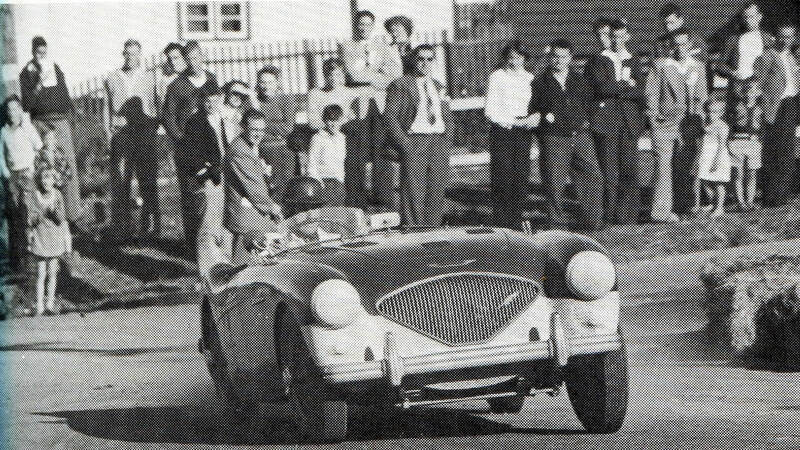 1955 - Sidney Anderson in the Austin Healey. Photo: Ken Devine. 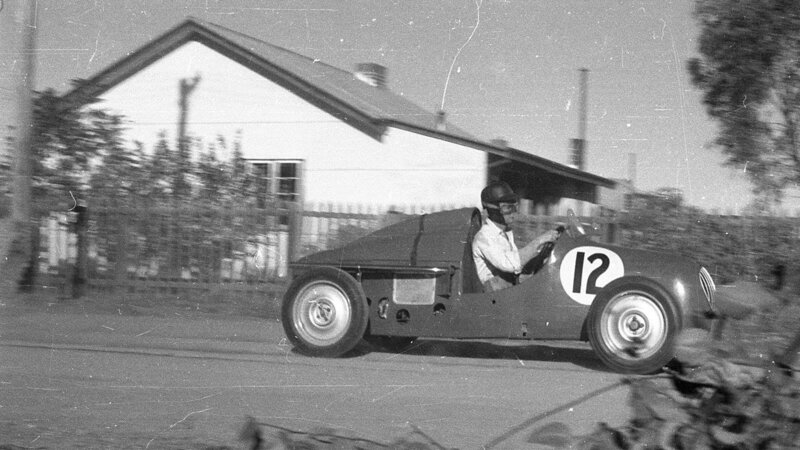 1955 - Syd Taylor leads Syd Anderson & Tobi Carbone. Photo: Ken Devine. 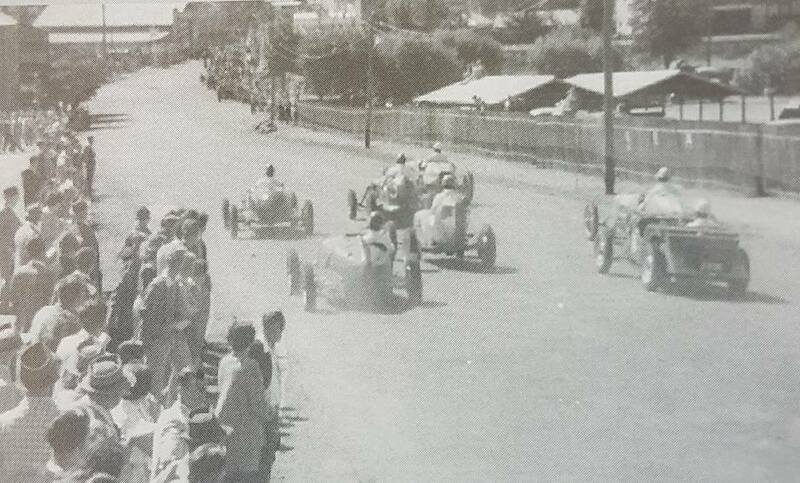 All of the race circuit remains unchanged apart from 2 sections, the first is were Stirling Street meets Hutt Street, the old original sweeping turn has been replaced with a more defined right angle intersection and the Hutt Street straight has been turned into a no through road as the railway line now cuts through its path, a very small section of Hutt Street still remains past the train line were the circuit turned into Clarke Street. 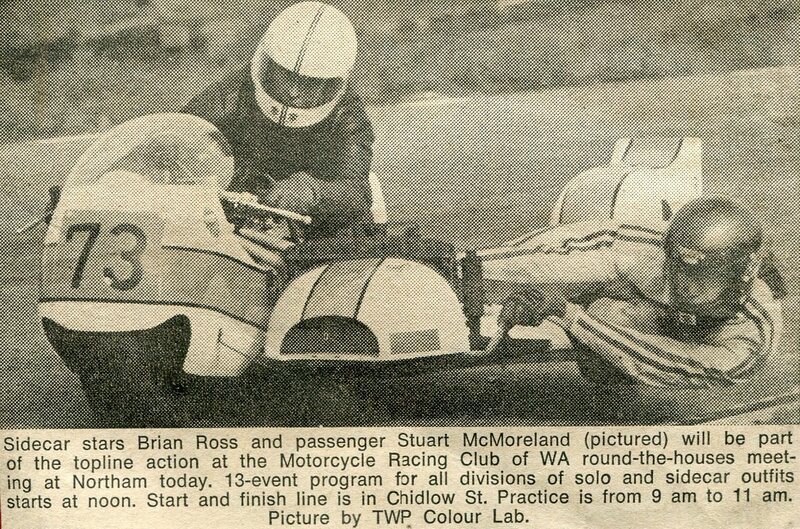 The Northam Districts motor cycle club hosted the Northam week championship meeting on the 12th of September 1976 around the streets of Northam, the program consisted of motorcycle and sidecar racing. 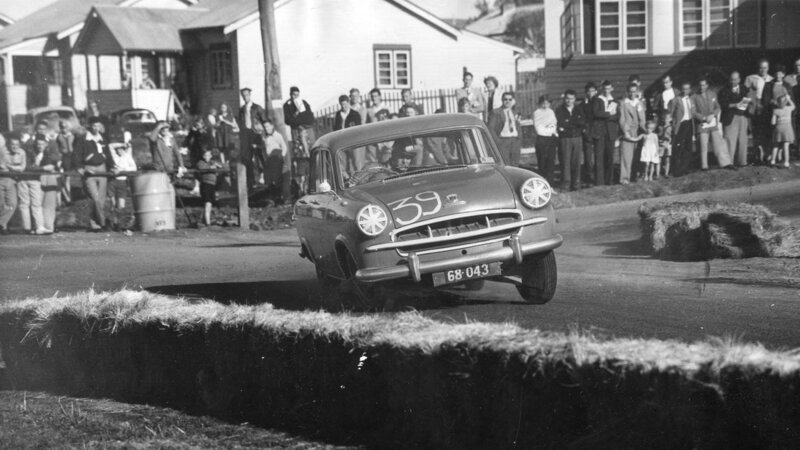 1976 - Peter Senior takes on the Northam town circuit. Photo: Lester & Nola Hedgewood collection. 1976 - The start of the B grade race at Northam. Photo: Lester & Nola Hedgewood collection. 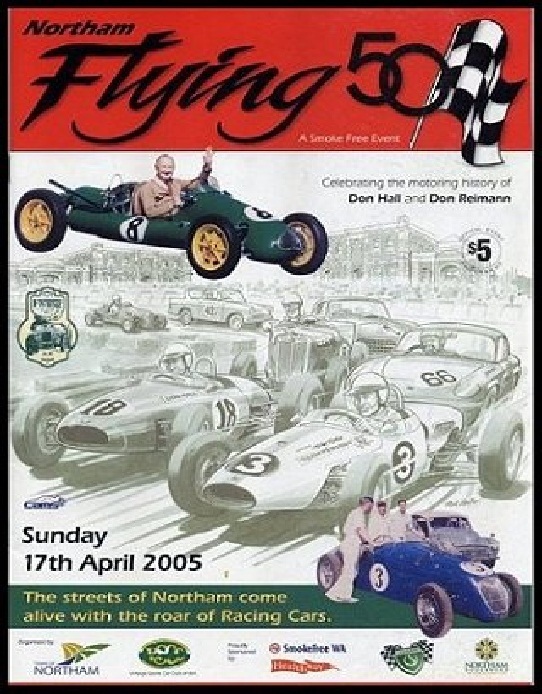 In 1999 the Vintage Sports Car Club of WA began holding Re-enactment racing around the streets of Northam, Between 1999 and 2003 the event was known as the Vintage on Avon, In 2004 the name was changed to the Flying 50 to bring it more in line with Northam's racing past , is event has become a yearly event and very popular with competitors, visitors and the locals.